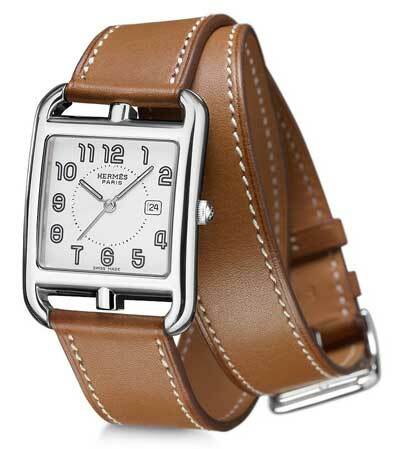 Hermes timepieces are made with exceptional finesse and materials of the highest standars. Marina Bay Watch Company has proudly been providing service for Hermes watches for over 20 years in Marina Del Rey. Service upkeep is very critical when trying to maintain your Hermes properly. If your Hermes is not properly running, bring it to our experts to fix your valued treasure. Our company has all the state of art equipment to properly change the battery while you wait, and reseal it back up to Hermes Factory Specifications. Hermes repairs and services offered by our company include full overhauls on mechanical wind and self winding movements, battery change, crystal replacements, crown replacements, movement replacment, dial refinishes, polishing, case and band refinishing, band repair, band replacement, band sizing, clasp repair, clasp replacement, and many other services. We look forward to help you with any of your service needs for your Hermes.